Despite the bizarre way their time together in Minnesota ended, Jimmy Butler insists he still has a good relationship with former Timberwolves coach Tom Thibodeau, relays Joe Cowley of The Chicago Sun-Times. Butler was campaigning for a trade prior to the season, when he reportedly engaged in outlandish behavior at a Wolves practice. Butler wound up getting dealt to the Sixers and Thibodeau was fired shortly afterward, but Butler said they have remained on good terms. “I’m sure Thibs would tell you like I tell you. I’ll take all the blame. I’m sure he’ll say he’ll take it too,” said Butler, who added that Thibodeau called him before tonight’s game. “Somebody got to point the finger at somebody. But like I tell everybody, Thibs is a big part – and you can tell I’m smiling – because it’s the truth, he’s a big part of who I am today as a player. Power forward/center Norvel Pelle has played well for the Sixers‘ G League team in Delaware and may get a shot at the NBA, tweets Serena Winters of NBC Sports Philly. A Sixers official said Pelle was given a workout today so the team could take a closer look at what he can offer. Injuries have left Philadelphia in need of frontcourt help. The addition of Jeremy Lin hasn’t worked out for the Raptors so far, says Doug Smith of The Toronto Star. Lin has missed all 17 of his 3-point shots since coming to Toronto and is shooting 30% overall. Smith notes that the return of injured guard Fred VanVleet should help the bench unit, but that’s still projected to be a couple of weeks away. The Nets have been surging in recent weeks, and the team’s hot streak has coincided with strong play from DeMarre Carroll, who is finally gaining comfort after returning from ankle surgery on November 9. As Brian Lewis writes for The New York Post, Carroll has been providing stellar and consistent play off the bench, averaging nearly 17 points and 6 rebounds per game in his last five contests, while knocking down 50% of his 3-pointers. Carroll’s turnaround couldn’t have come at a better time for the Nets, who are missing Rondae Hollis-Jefferson, Allen Crabbe and Caris LeVert due to injuries. Coming into the season, Carroll was expected to play a key role for the Nets as a small-ball power forward. Due to his injury and early struggles this season, he lost that role and has had to work to regain it. Now he is a key cog on the Nets’ bench unit, which is one of the best in the league. After getting off to a rough start this season, Jaylen Brown has stepped up his play in recent games for the Celtics. As Sherrod Blakely points out for NBC Sports Boston, Brown has finally started to hit shots in recent games and has resembled the player he was last season on a more consistent basis. Speaking of struggling Celtics, Terry Rozier continues to navigate his smaller role now that the team is healthy. 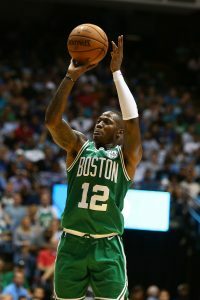 As Mark Murphy of The Boston Herald points out, Rozier is struggling with accepting the smaller role for the good of the team versus constricting his career to being a backup point guard. In their recent win over the Lakers, the Knicks received strong contributions from Mario Hezonja. However, as Marc Berman writes for The New York Post, Hezonja and Enes Kanter are two parts of the Knicks’ rotation that have seen their roles decrease significantly in recent weeks as their future with the team is in question. As we relayed just last week, the Pelicans are among a handful of teams who have been active prospective buyers on the trade market so far this season. Additional details have emerged from Jordan Brenner of the Athletic, who notes that the Pels are primarily interested in obtaining a long, defensive-oriented swingman/small forward before the trade deadline. Some of the names that Brenner hears as potential targets in New Orleans from conversations with team executives, scouts and an assistant coach are the Pistons’ Stanley Johnson, Bulls’ swingman Justin Holiday, Hawks’ swingman Kent Bazemore, Nets’ veteran DeMarre Carroll, and even J.R. Smith – players who can knock down open threes and use their length on defense. Steve Kyler of Basketball Insiders also adds Lakers’ trade candidate Kentavious Caldwell-Pope to that list. And while none of these players may push the Pelicans to the next echelon of NBA teams, a trade for one of them would at least represent progress as the front office stares into the possibility of losing Anthony Davis to free agency or a trade demand if they do nothing. Right now, the Pelicans have E’Twaun Moore and Solomon Hill playing the 3, but while Moore is vastly undervalued and on a team-friendly contract, he’s only 6’4” and not a viable small forward defensively. As Brenner notes, New Orleans has acknowledged as much by moving Moore to the bench and giving Hill another run in the starting lineup. But Hill has not shown he’s a capable piece moving forward either. Unfortunately for the Pelicans, they have few assets to offer in any trade. Hill’s contract runs through 2020, Wesley Johnson and Darius Miller are on expiring deals but are only making $6.1MM and $2.2MM, respectively, and young assets like Cheick Diallo and Frank Jackson haven’t shown enough promise to net a real return. Rozier showed he could be effective starter filling in for Kyrie Irving during the playoffs. With Irving back in the lineup, Rozier has been forced into a second-unit role again. He has expressed a desire to be a starter in the future and that’s not going to happen if Irving re-signs with Boston. Rozier’s stats aren’t that far off from last regular season but it’s been difficult for the restricted free agent, who is currently ranked No. 18 in our Free Agent Power Rankings, to enhance his value while playing 22 MPG. Carroll’s offensive numbers have been unsightly since he returned from an injury in early November. He’s shooting 34.4% from the field and 30.8% from long range. He’s also been a defensive liability, according to Basketball Reference, which gives him a minus 1.6 Defensive Box Plus/Minus rating. Carroll cashed in at an opportune time the last time he was a free agent. He’s going to find the offers much more modest next summer, given his age and declining production. The way first-year head coach David Fizdale has been tinkering with his lineup and rotation, it’s hard for anyone on the roster to feel comfortable. The point guard situation has remained a muddle, with Mudiay, Frank Ntilikina and Trey Burke taking turns as the main guy and sitting in the doghouse. Mudiay had a 28-point performance against Milwaukee earlier this month but the Knicks have been outscored by 46 points over the last three games with the restricted free agent on the court. His grasp on a starting spot seems tenuous at best. Muscala has reinvented himself as a stretch four and he’s become a valued member of Philadelphia’s rotation. He’s averaging 10.7 PPG, 6.7 RPG and 2.2 APG over the past six games. He had an 18-point outing to help the Sixers erase a 15-point deficit in Detroit last week. If Muscala can keep this up for one of the Eastern Conference’s top teams, he’ll be in line for a nice payday next summer and might even find a suitor that views him as a starter. Kawhi Leonard isn’t the only former Spur making a major impact north of the border. Green seems rejuvenated as well. His shooting numbers declined during his last three seasons in San Antonio but with Toronto he’s posting his best averages since the 2012/13 season. He’s shooting 44.2% overall and 42.1% from deep. His defensive metrics have remained well above average. Green should be able to score one more multi-year contract, whether he re-signs with Toronto and gets a starting job elsewhere. Nets guard Spencer Dinwiddie became eligible for an extension on Saturday but there doesn’t seem to be much progress between the two parties. Dinwiddie’s agent, Raymond Brothers, indicated that to the New York Post’s Brian Lewis. “No news. Nothing to report,” Brothers said. Dinwiddie can receive as much as $47.5MM on a four-year extension and has said he’d be willing to sign for that amount. Several NBA sources told Lewis that Dinwiddie could get more as an unrestricted free agent next summer. Dinwiddie is currently making just $1.65MM this season, a huge bargain for a productive rotation player. He scored a career-high 39 points on Wednesday. Big man Ed Davis knows changes could be on the horizon if the team doesn’t start winning games in bunches soon, as he told Michael Scotto of The Athletic. “It’s not just a coaching job that can change, they start trading people. It gets crazy when you lose and how you’re losing,” Davis said. Dinwiddie is also aware that the pressure is building on the current roster to start producing. “I’d venture to guess that if we continued to lose trades would happen, as they should. That’s (GM) Sean (Marks’) job,” he said. Rondae Hollis-Jefferson‘s return to the lineup has helped the Nets crack down defensively, Lewis writes in a separate story. Wins over the Raptors and Knicks this past weekend were facilitated by Hollis-Jefferson’s versatility. He recently returned from an adductor injury. “He can guard a 2, a 3, a 4, a 1. Its just huge for us. And he wants that responsibility. He’s embracing it more now that he’s feeling better physically,” coach Kenny Atkinson said. Hollis-Jefferson will be a restricted free agent in the summer if the team extends a $3,594,369 qualifying offer. This may be a good time for the Nets to make another attempt to acquire Wizards forward Otto Porter Jr., Brian Lewis of the New York Post opines. Porter signed a four-year, $106.5MM offer sheet with Brooklyn during the summer of 2017 but Washington matched it. The Wizards have made Porter, who has disappointed since getting the big contract, available in trade talks, but there is reportedly little interest. Washington is on pace for a $14.6MM luxury-tax payment, in part due to that offer sheet, as Lewis notes, and could use some relief. Brooklyn still needs a stretch four, a void that Porter could fill, though Porter’s contract also includes a 15% trade kicker. Presumably, the Nets could send Allen Crabbe or DeMarre Carroll and another player to Washington in order to make the salaries sufficiently match up, Lewis adds. Clippers forward Tobias Harris would be a sensible free agent target for the Nets. Read more about it here. Knicks guard Trey Burke didn’t see any action in the team’s game against the Hawks on Wednesday, catching the 25-year-old by surprise. Burke. a six-year NBA veteran, has averaged 9.5 points per game in 11 contests this season. Knicks coach David Fizdale opted to use Emmanuel Mudiay more instead of Burke, who rooted for his team from afar. Mudiay registered 11 points and five rebounds in 21 minutes. For Burke, the sudden adjustment won’t change what he’s been doing throughout his career: Staying ready, waiting for his opportunity. Nets forward DeMarre Carroll expects to make his season debut on Friday against the Nuggets, tweets Brian Lewis of The New York Post. Carroll has missed the team’s first 11 games due to right ankle arthroscopic surgery. The Nets are officially listing him as “probable” for the game. Danny Ainge doesn’t imagine retiring in the near future, writes Steve Bulpett of The Boston Herald. Ainge has served as the Celtics’ president and general manager for over a decade, and explained that he loves his current job. Ainge has constructed several contending teams during his 10 years with the organization, a list that will likely include this season’s roster. There’s still no timetable in place for Kristaps Porzingis‘ eventual return, according to Steve Popper of Newsday.com. Porzingis tore his ACL in February and could miss the rest of the season depending on how his rehab goes. He’s made some appearances at Knicks games and practices, offering support to his teammates and coaches. It sounds like Raptors swingman Norman Powell will be sidelined for an extended period, as Blake Murphy of The Athletic tweets. Powell, who suffered a subluxation (partial dislocation) of his left shoulder in Monday’s win over Utah, currently has his arm in a sling and will undergo further tests once the team is back in Toronto. In an official press release issued this afternoon, the Raptors didn’t offer a timeline for Powell’s recovery, announcing that he’ll be out indefinitely. However, head coach Nick Nurse told reporters today that the 25-year-old will likely be on the shelf for “weeks,” with ESPN’s Adrian Wojnarowski suggesting (via Twitter) that it could be four to six weeks. The Sixers continue to have trouble getting all their new rotation players healthy at the same time. Wilson Chandler is back in action now, but Mike Muscala will miss at least the next week after breaking his nose in a practice on Tuesday, per the team (link via Chris Mannix of SI.com). A trio of injured players are just about ready to make their 2018/19 debuts. Spurs point guard Derrick White will be available to play tonight (Twitter link via Jeff McDonald of The San Antonio Express-News), as will Kings wing Bogdan Bogdanovic (Twitter link via James Ham of NBC Sports California). Meanwhile, Nets forward DeMarre Carroll may play as soon as Friday in Denver (link via Brian Lewis of The New York Post). Trey Burke will be the Knicks‘ starting point guard to open the season, but Frank Ntilikina also earned a job in the starting five, tweets Ian Begley of ESPN.com. Head coach David Fizdale, who indicated in camp that starting jobs would be based on merit, rewarded Ntilikina for his strong fall, and hopes the decision to bring Kevin Knox off the bench will motivate the rookie (Twitter link via Begley). DeMarre Carroll will undergo a surgical procedure on his injured ankle, Nets head coach Kenny Atkinson told reporters today (Twitter link via Bryan Fonseca of NetsDaily). Atkinson downplayed the seriousness of that procedure, but didn’t offer a timetable for Carroll’s return (Twitter link via Brian Lewis of The New York Post). The Bulls joined the ever-growing list of NBA teams that wear a sponsored advertisement on their jerseys, announcing on Tuesday that they’ve partnered with eyewear company Zenni Optical, as Joe Cowley of The Chicago Sun-Times details. The Bulls and Zenni Optical reached an agreement on a five-year partnership, which will involve various market elements in addition to the new ad patch on Chicago’s uniforms. A pair of Cavaliers trade exceptions expired when they went unused on Monday. The exceptions were modest — one created by trading Richard Jefferson last October was worth $2.5MM, while the other, created by trading Kay Felder, was worth approximately $1.3MM. Although Dwight Howard‘s status for opening night remains unclear, the new Wizards center practiced in full on Monday for the first time, per Candace Buckner of The Washington Post (Twitter link). After two years with the Hornets, Treveon Graham signed with the Nets during the offseason because he wanted a chance to compete for serious playing time, relays Bryan Fonseca of NetsDaily. Graham appeared in just 27 games as a rookie, but worked his way into Charlotte’s rotation last year, averaging 16.7 minutes in 63 games. He accepted a one-year deal with a team option to come to Brooklyn in hopes of showing that he’s worthy of a larger role. Getting minutes won’t be easy to get as the Nets are stocked at the wing with DeMarre Carroll, Allen Crabbe, Joe Harris, Caris LeVert, Dzanan Musa, Jared Dudley and Theo Pinson. However, Graham is eager for the competition. Entering his second year with the Nets, Carroll is grateful that the team brought in more veterans this summer to help with leadership roles, Fonseca writes in a separate story. In addition to Davis, Brooklyn signed 30-year old free agent Ed Davis and traded for the 33-year-old Dudley. “It’s just great to have another person who’s been through the fire and understands what it takes to win,” Carroll said.